Are you ready to build your backyard oasis, yet need a bit of financial assistance to complete the dream? 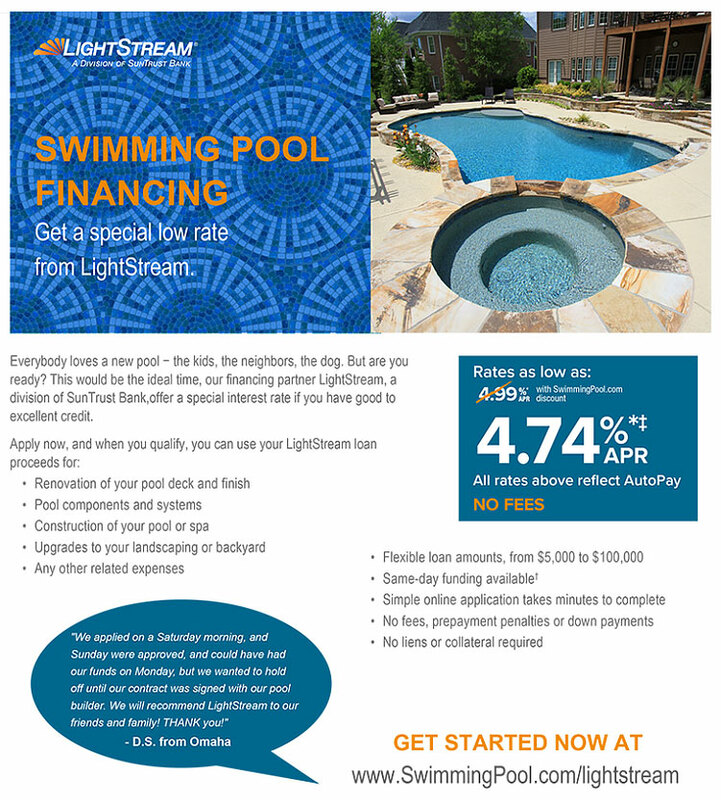 There are various financing program options that are available for those constructing or remodeling a swimming pool. Click above for a no-obligation monthly payment estimate, or easily apply online to see if you qualify.